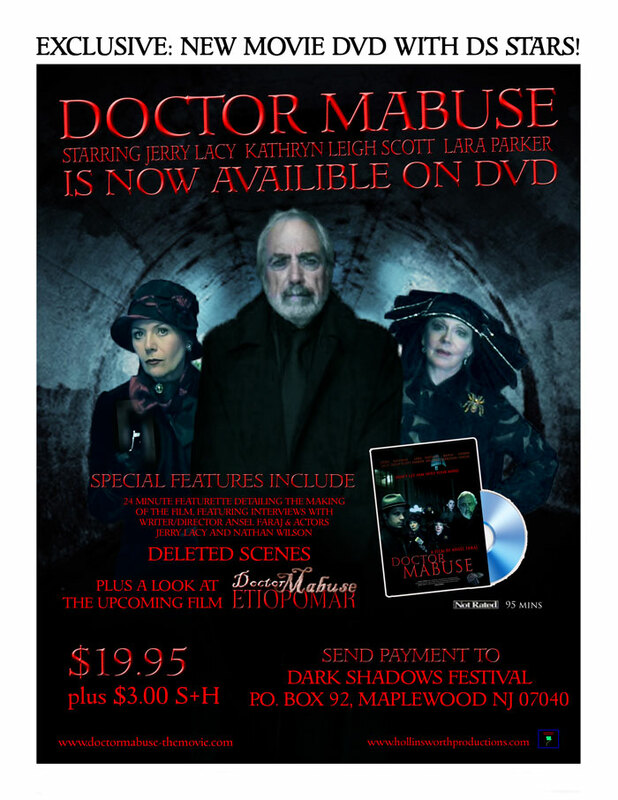 "DOCTOR MABUSE" is now available - starring JERRY LACY as the mysterious Doctor and co-starring LARA PARKER and KATHRYN LEIGH SCOTT. This psychological thriller is a 2013 production running 95 minutes. The DVD includes a special 24-minute "Making of Doctor Mabuse" featurette with behind-the-scenes footage and interviews. DVD also includes deleted scenes and a preview of the upcoming sequel. The film is not rated and is only available through this offer. P.O. Box 92, Maplewood, NJ 07040. *Please inquire for overseas shipping prices.